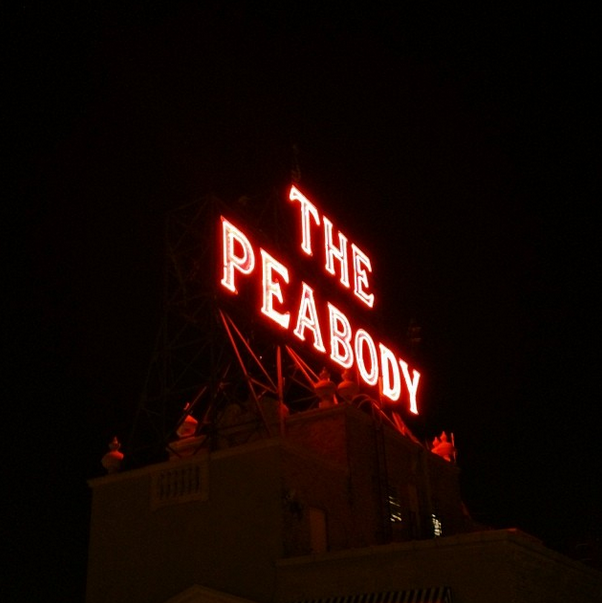 A visit to Memphis is a pilgrimage to the birthplace of all contemporary music. It’s where disparate musical cultures collided to meld into Rock N Roll and Soul. It’s a city whose history has impacted this country and the entire planet. At the Rock N Soul Museum just off Beale Street, you learn that millions of people left Southern farms for Memphis between the 1930s and 1960s. These sharecroppers and subsistence farmers brought with them the music that helped to cure the pain of toil. Blacks brought the blues and field music they sang at work, along with the gospel music of church choirs. Whites brought the country and honky tonk sounds they’d heard their grandpappies play on the porches of their one-room shacks. Mechanization made manual labor obsolete, so these rural residents left their agrarian lifestyle in Arkansas, Tennessee, and Mississippi for the burgeoning metropolis, Memphis. Things didn’t necessarily get better in the city, but musical traditions were exchanged, and there was an industry waiting to record them and radio stations enthusiastically broadcasting these new sounds. Memphis and the greater South have had a long history of segregation. So many of the stories about whites and blacks working together in the ’50s and ’60s are often exceptions to institutionalized racism. But the ephemeral power of music can bridge these divides. The mantra of white business owners like Sam Phillips was to record everyone and everything. Some teenagers in Clarksdale, MS heard about the “white man in Memphis who records anyone,” so they traveled a few hours north to Sun Studio. En route, one of their guitar amps fell off the back of the car and got severely busted. They didn’t have time to repair it, so they went straight to the studio to perform. Jackie Brenston & His Delta Cats (who were really Ike Turner & the Kings Of Rhythm) performed “Rocket 88” with distorted guitars. Sam Phillips sat in the booth and liked what he heard, so he mixed the distortion prominently on the recording. This happenstance came to be regarded as the first Rock N Roll song in the history of the world. 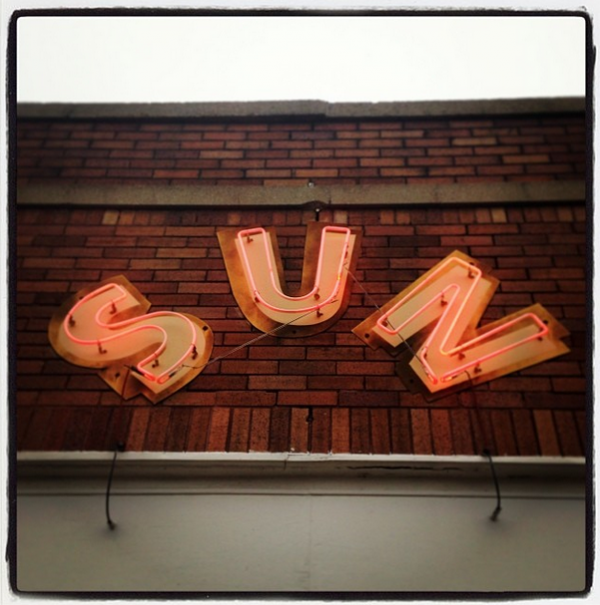 A similarly chance encounter happened when a young crooner named Elvis took a break from his day job to record a few songs at Sun Studio. Sam Phillips didn’t think the kid was talented, but Elvis became a fixture at the studio and eventually Phillips put him on a track that he liked. “That’s All Right” became an instant hit when an influential Memphis DJ couldn’t stop playing it. A few years later Elvis was a superstar. He bought his Rock N Roll palace at Graceland when he was 21. Along with a glimpse into his gaudy taste in shag carpeting, visiting Graceland is a reminder of how hugely influential Elvis Presley was. He was able to bring Rock N Roll to mainstream white teens who reveled in his rebelliousness. He helped to launch youth culture through his music and films. Elvis’s impact can be seen on the weeping faces of fans from Germany and Minnesota and Japan and Florida and India as they stare at his grave. His global influence brought rock music to the world. While Elvis was enjoying his kingdom at Graceland, many black Memphians were living in poverty. In 1968, Dr. Martin Luther King came to Memphis in support of the city’s sanitation workers who wanted dignity and a decent wage. 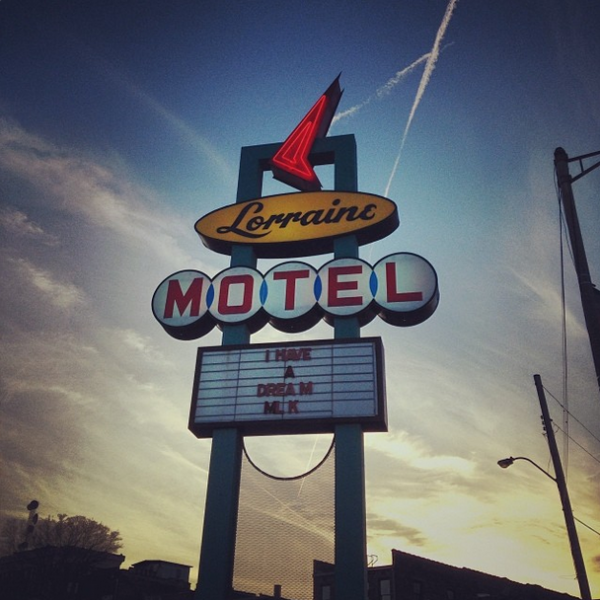 As they prepared for the protest, the civil rights leader was shot as he stood on the balcony of the Lorraine Motel. Today the site is preserved as part of the National Civil Rights Museum to honor the legacy of Dr. King. The weeping faces at the Lorraine Motel are more powerful than those at Graceland, because where Elvis showed off his harmonies, Dr. King showed us how to live together in harmony. That dream remains for future generations. Hope for the future of Memphis can be seen at the Stax Museum of American Soul Music. The Soulsville Foundation also operates a charter school and music academy to help local children excel. Stax was home to Rufus Thomas, Isaac Hayes, Booker T & The MGs, The Mar-Keys, and The Bar-Kays. This raw Memphis soul sound rivaled Motown’s pristine harmonies, because like Sun Studio this label had a Rock N Roll attitude and put everything on tape, emphasizing that distortion, that rawness, that funkiness. That sound was able to permeate the world. Memphis is home to many world-class museums that keep the memory of the past alive. But a problem with historicizing Memphis is that you might feel like all of the positives and negatives of the past are already done. The city still has pockets of poverty that are the direct result of segregationist policy. The city still has a vibrant hip hop and indie rock scene. Memphis is still emerging. But like the music that had its origins in this city, and later became the blueprint for contemporary rock or the actual notes being re-sampled by hip hop, the city is remixing itself. Its sounds are still being broadcast around the globe, and those signals are now permeating the cosmos. Josh was a guest of Memphis Travel on this trip.